Patriot Turtle HydroFlow 3200 GPH Submersible In Pond Pump | Fountain City Art Ctr. •The large intake design of the HydroFlow series makes it an ideal choice for fountains, waterfalls and smaller ponds where filtration is a minimum. • An energy efficient electromagnet is sealed in an epoxy-filled housing. • The drive shaft and electromagnetic rotor are recessed in the motor housing. • Near silent operation and extremely low operating cost. • These pumps are ideal for in-pond use due to the oversized intake area. 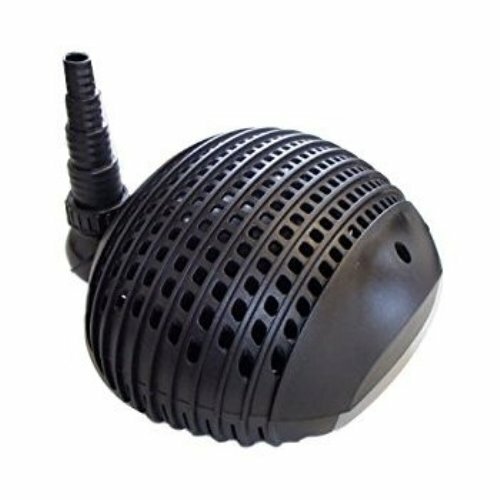 • The upright design with space-saving footprint makes this pump ideal for skimmer and pondless waterfall installations. • Intake screen prevents clogging while passing solids up to .25 inch. We've tested these units with over 50% intake blockage with no reduction in flow! • Asynchronous drive motor can be controlled with variable speed controller (not included) that permits you to increase or decrease pump flow as needed. • Impeller passes solids to .25". • Engineered for 24-hour continuous use; overload sensor prevents burnout. • Contains no oil; completely safe for fish, wildlife and aquatic plants. Extremely energy efficient magnetic drive technology is an ideal choice for fountains, waterfalls and most ponds. Intake screen prevents clogging while passing solids up to .25 inch. We've tested these units with over 50% intake blockage with no reduction in flow! Asynchronous drive motor can be controlled with variable speed controller (not included) that permits you to increase or decrease pump flow as needed. View More In Farm & Ranch.